Recently bus drivers in the city of Okayama, Japan went on strike. 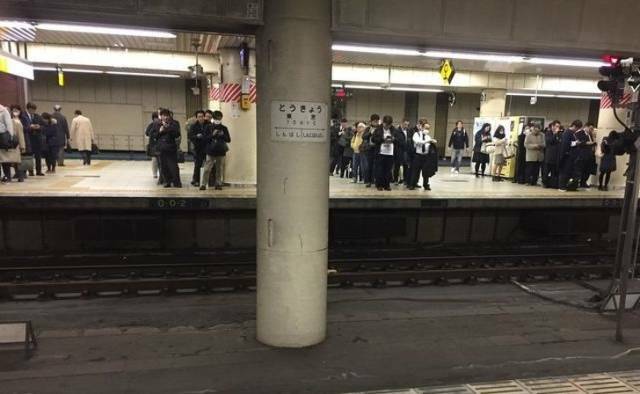 In the rest of the world, a similar situation would cause a lot of inconveniences for regular passengers, but not in Japan. In Okayama, buses are still running their routes without charging passengers the fare. The company loses money, but the passengers are happy. A special worker is guarding a non-working escalator. 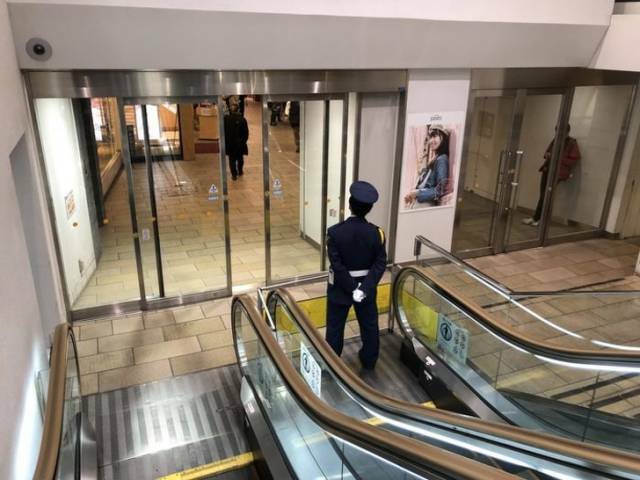 When an escalator broke down in one of the malls in the city of Sapporo, it was immediately fenced in and signs with warnings and apologies for the inconvenience were hung right away. That’s not all! A special worker was standing there all day long to warn passengers and control the situation. Amazing! This is a line for a train in Tokyo. People are calmly waiting for the train in lines, each of which starts at the level of an opening door. Though there’s hardly any personal space in those lines, at least there is no mess. 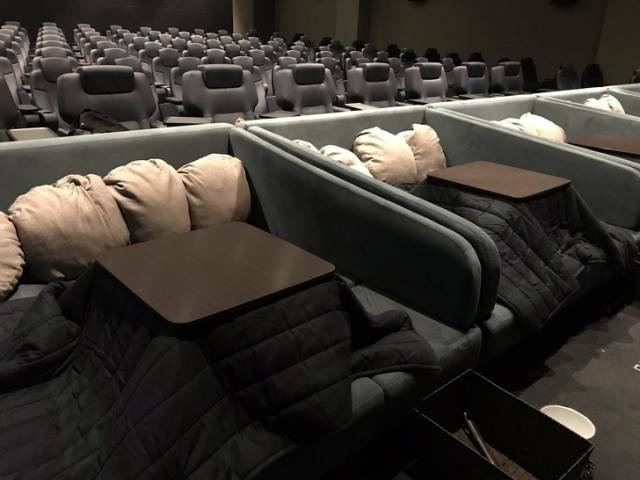 A new movie theater with extremely comfortable seating opened in the city of Tokorozawa recently. You easily feel at home here because all the seats are equipped with kotatsu tables and heating elements beneath them. By the way, Kotatsu is a traditional furniture item in Japan. 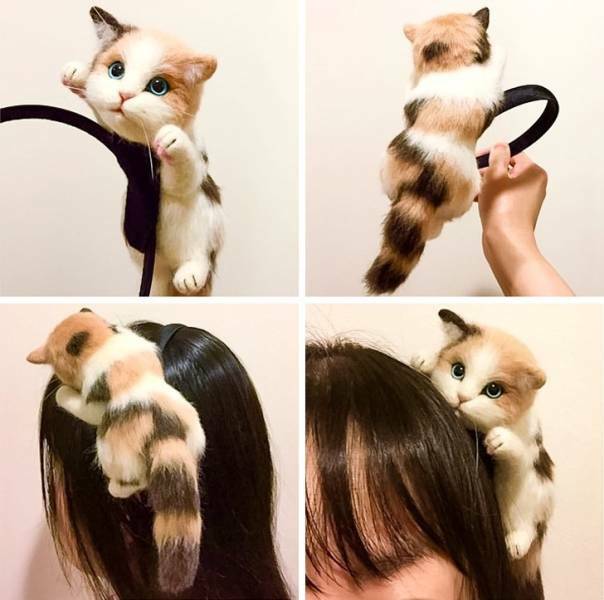 Japanese people are big fans of cats. That’s why they created an accessory for those who want to never part from these fluffies. 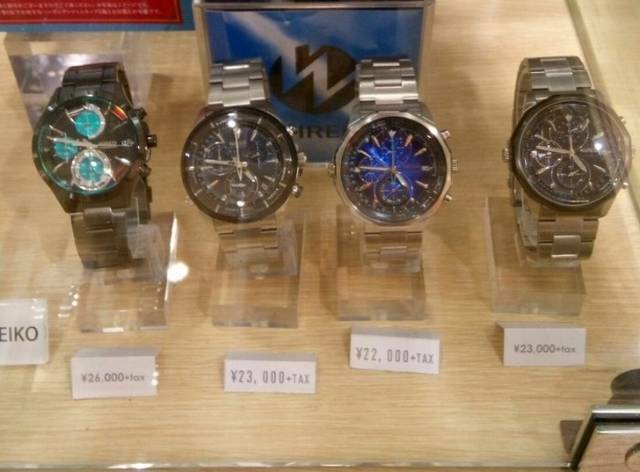 Some Japanese shops display 2 prices for one item. The thing is that GST or sales tax is usually automatically added to goods. And Japanese people, unlike other countries, are used to counting it separately. When ordering food in Japan, be sure that you’ll get exactly the same-looking dish or beverage that is displayed on the menu. 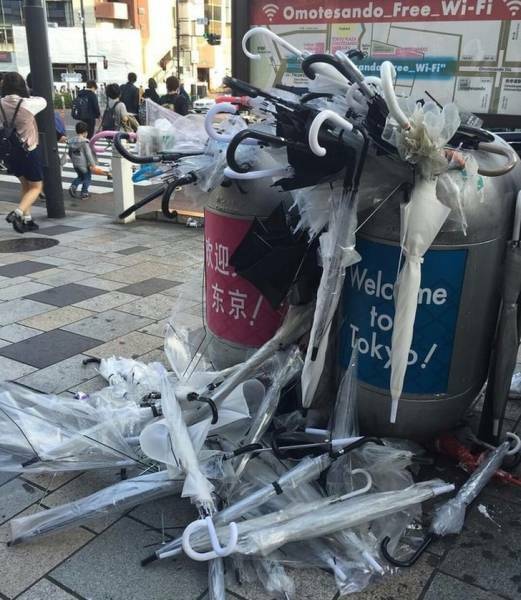 Disposable umbrellas are extremely popular in Japan. They are very cheap hence there is no need to worry if they break. And umbrellas break quite often in Japan because of harsh weather conditions. You can easily see piles of used plastic umbrellas after showers near metro stations. The Japanese thermal resort Beppu held a campaign for the sake of its competitor — Kusatsu resort, which has recently suffered from an earthquake and its usual number of tourists has drastically decreased. 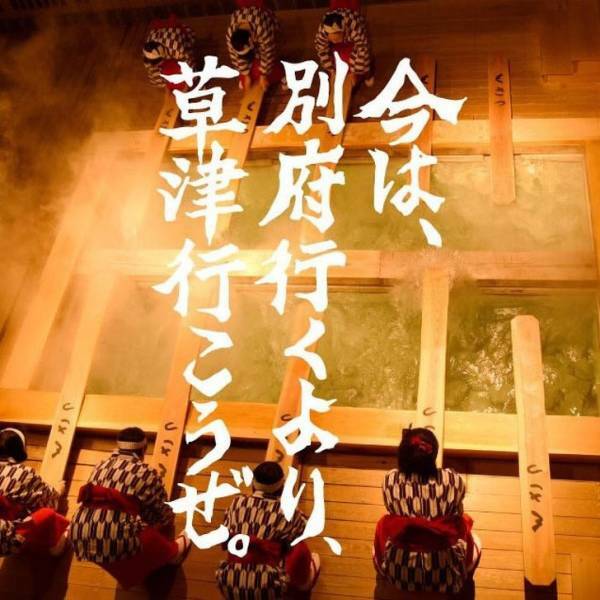 So the slogan on the advertising board of Beppu says, “Instead of Beppu, you should go to Kusatsu now.” While the comments on the official site of Beppu Resort say that they will continue to compete once Kusatsu gets over the disaster. Meanwhile, they should stand together. A Japanese hotel has started to offer its guests slippers that can park themselves in a designated place when you are not using them. Each slipper is equipped with 2 wheels, an engine, and sensors. This novelty was created by the Nissan company. 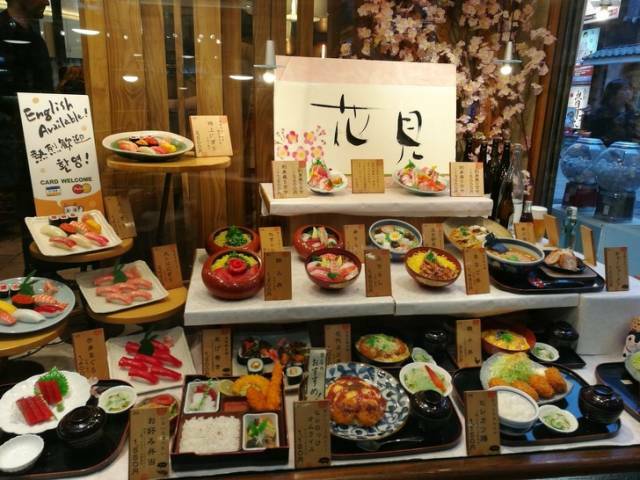 Japanese restaurants display fake food samples that look just like the food displayed on their menu. The food is placed in the restaurants’ windows and looks so real that anyone passing by will start salivating just looking at them. 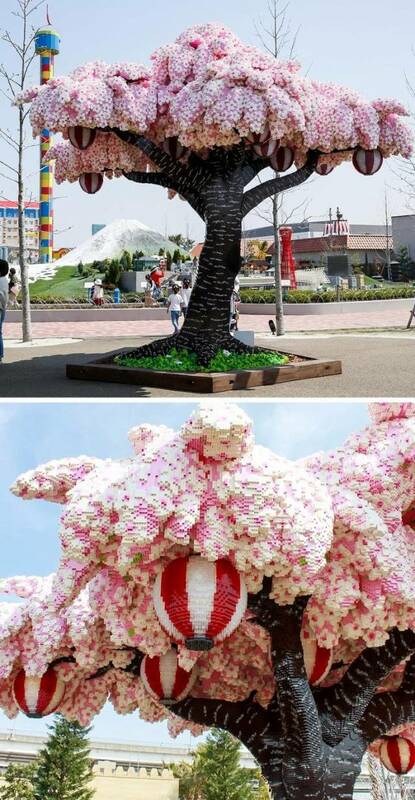 The LEGOLAND in Japan has set a new record — they have built a blossoming sakura. It took more than 800,000 tiny LEGO details to construct the symbol of Japan. And yet, nothing compares to mother nature itself. Have you ever been to this wonderful country? 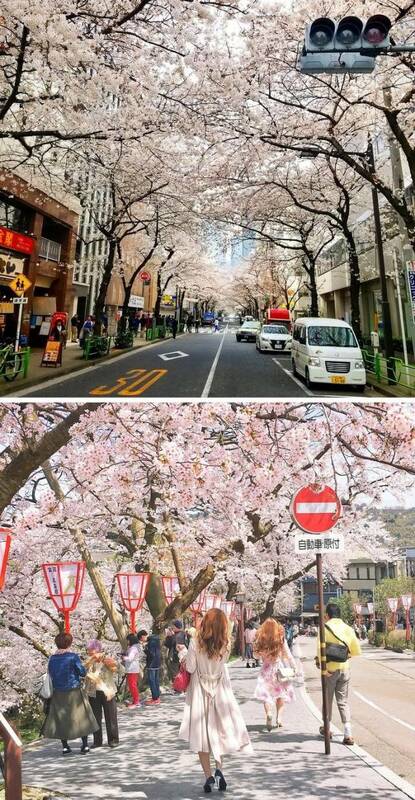 If yes, which things in Japan impressed you the most? Please let us know about them in the comments!